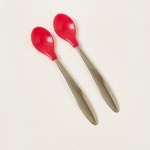 Juniors Soft Bite Spoon - Set of 2 | Pink | Specially designed to ensure your little one can easily grap the baby food without any mess. Designed to lend utmost comfort while feeding your little one, this soft bite spoon is a great pick. 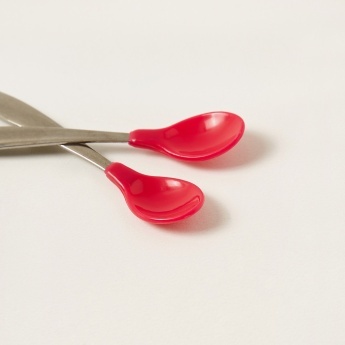 Ultra-soft and durable, these spoons come as a set of two. Feature 2 : Soft and durable . Feature 1 : Specially designed to ensure your little one can easily grap the baby food without any mess.